As we crawl towards the end of Q1 it becomes evident that the main theme for 2019, besides appalling far-right violence, is that nobody in charge wants 2019 to actually begin. What do I mean by that? That all we see everywhere is can-kicking rather than decision making. 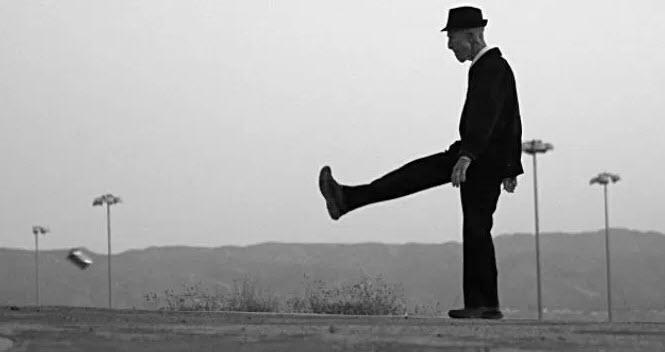 Ironically Europe, where can-kicking is as much a part of the fabric of political life as beer, wine, and cheese, might also be breathing a bit easier from the idea of the US and China not yet coming to an agreement (and yet permanently being close to one). After all, there are a series of stories now suggesting that as soon as Trump is “done” with China he will start a serious trade war with the EU over agriculture and autos. That would bring the threat of biting recession straight to their front door, rather than loitering around the back. In short, 2019 is aping 1984: not just on the invasive/repressive technology front, where China is leading the way, but in that its vision of the future being a boot kicking a can down the road – forever. The week has already seen data showing why that can needs to keep moving down that road, with Japanese trade data showing exports -1.2% y/y and imports -6.7%, while industrial production was -3.4% m/m. Today we have only second-tier numbers in the form of Eurozone trade data and the US NAHB housing survey. Tomorrow it’s a speech from the RBA’s Kent, likely to remain deeply in denial, and then Aussie house prices for Q2, likely to remain deeply in the red. Then we have the RBA minutes, likely to remain deeply in denial and making my face deeply red. We have UK unemployment and wages, and the German ZEW survey, and US factory orders. Wednesday it’s the BOJ’s minutes, another RBA speech, German PPI and UK PPI, and CPI, then the Fed rate decision and updated projections along with the accompanying press conference. Thursday has Kiwi Q4 GDP and a Eurozone summit, where British PM May will be attending to ask nicely for that Article 50 can-kicking. There are also Aussie jobs data and UK retail sales, the Bank of England meeting, and the US Philly Fed survey. Friday rounds us off with Japanese CPI and global manufacturing and services PMIs for March, which are very preliminary at this stage, then UK government borrowing and Canadian retail sales and CPI, followed by US existing home sales.